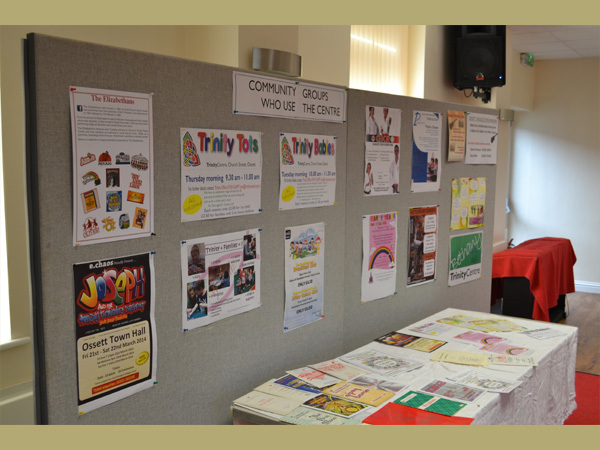 Trinity Church serves Ossett and Gawthorpe and welcomes visitors from further afield who attend events, access child care and centre facilities. 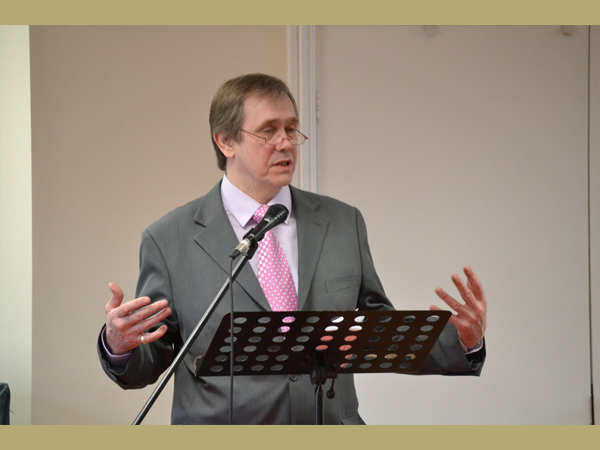 They worship, learn, work and relax together to help each other and the community. 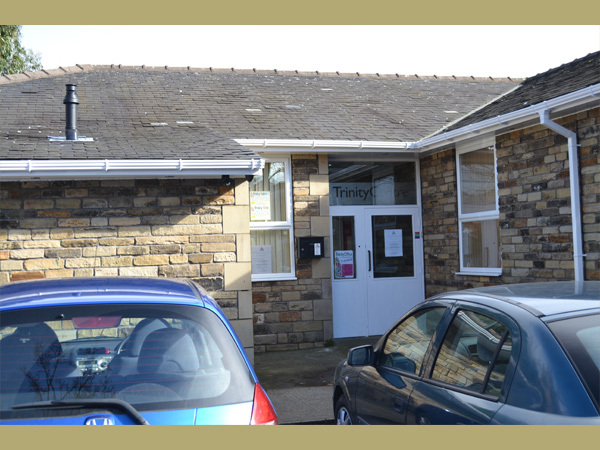 The Trinity Centre sits adjacent to Trinity Church in Ossett and is a multi-use community centre that was built in 1989. 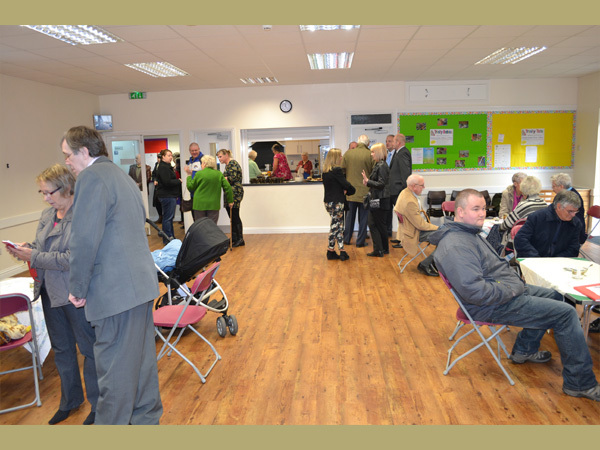 The centre has two rooms which are used for a wide range of activities such as keep fit classes, support groups, The Elizabethans Childrens’ Amateur Operatic Society and a mums and toddlers group. 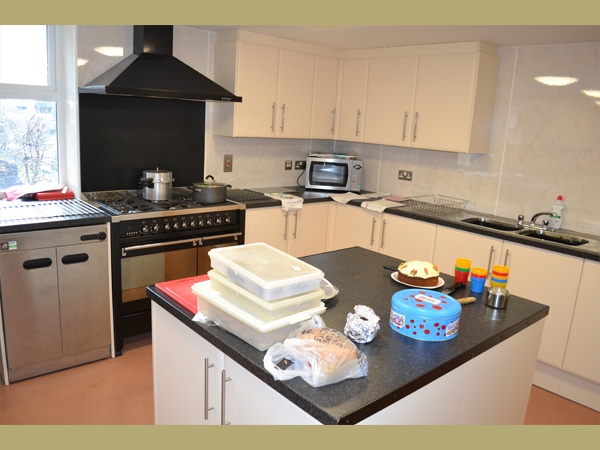 The venue can also be hired out for private events such as weddings and birthday parties. 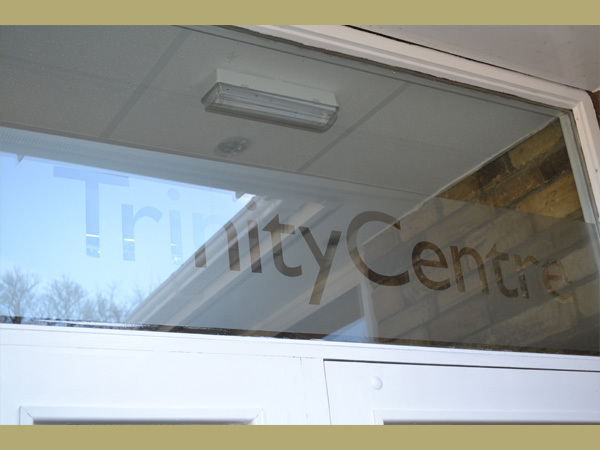 Trinity Centre, Ossett. View from the car park. Trinity Centre, Ossett. Front door. Trinity Centre, Ossett. Visitors in the main room. Trinity Centre, Ossett. Main room. Trinity Centre, Ossett. Board display of activities at Centre. Trinity Centre, Ossett. 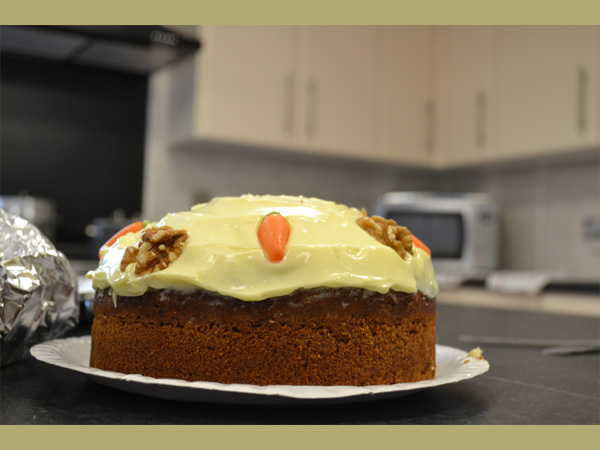 Cake in the kitchen. Trinity Centre, Ossett. Kitchen serving hatch. Trinity Centre, Ossett. Outdoor free play area. Trinity Centre, Ossett. Outdoor play area with play equipment. Trinity Centre, Ossett. Duncan Smith, lay chairman of Ossett PCC. Trinity Centre, Ossett. 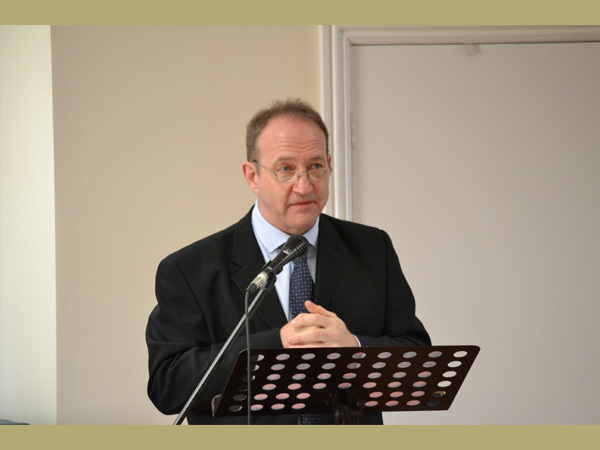 Tony Richardson, Councillor for Ossett. Trinity Centre, Ossett. 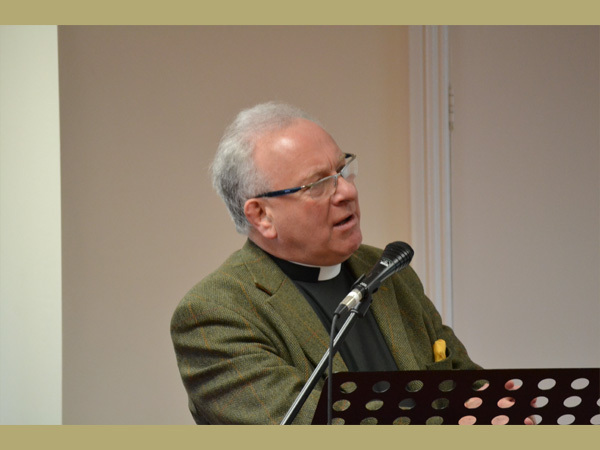 Peter Townley, Archdeacon of Pontefract. Trinity Centre, Ossett. 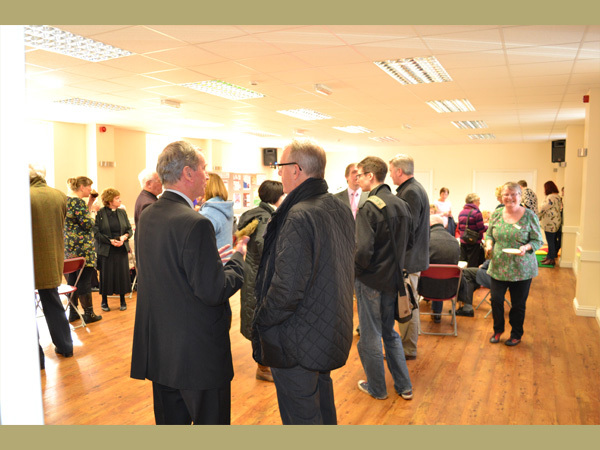 Opening and funders plaques. Time and extensive use had taken their toll on the building’s interior. 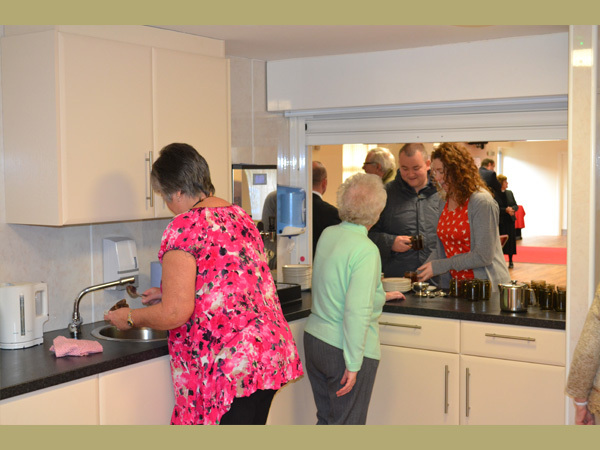 To enable it to continue to be used as a focus for community events and activities it needed a number of repairs and improvements. 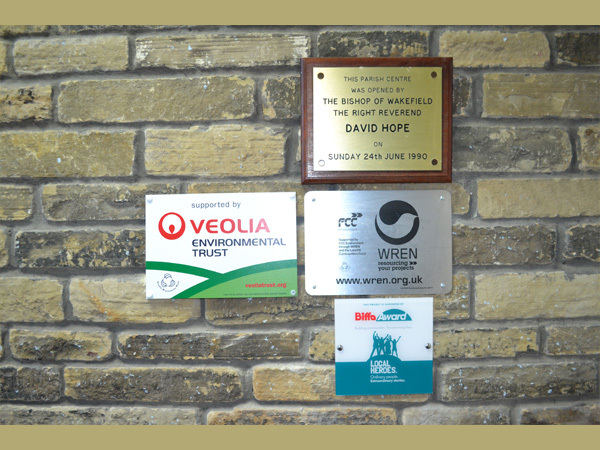 Ossett and Gawthorpe PCC applied to Veolia Environmental Trust, Biffa Award and WREN for funding through the Landfill Communities Fund (LCF) to lay a new floor in the hall, install a new ceiling, redecorate and rewire the building.The LCF monies also funded new toilets and a new, modern kitchen with ample space for members of the community to cook lunches and provide refreshments to the various groups using the facilities. 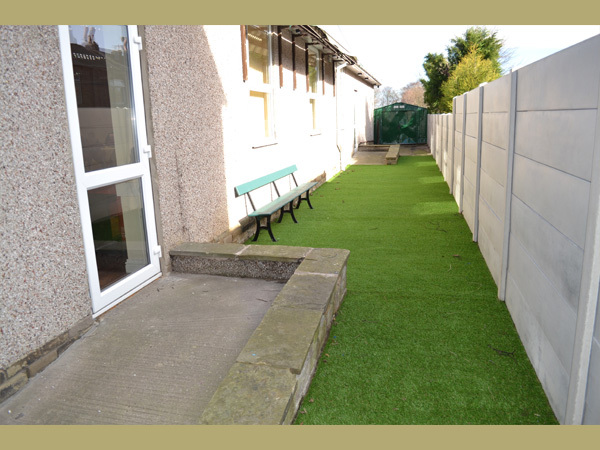 A new energy efficient gas heating system with heat loss reduction measures was also installed to reduce the building’s carbon footprint and to reduce heating costs.New paths were laid to provide easier access for wheelchair users, people with limited mobility and parents with pushchairs. 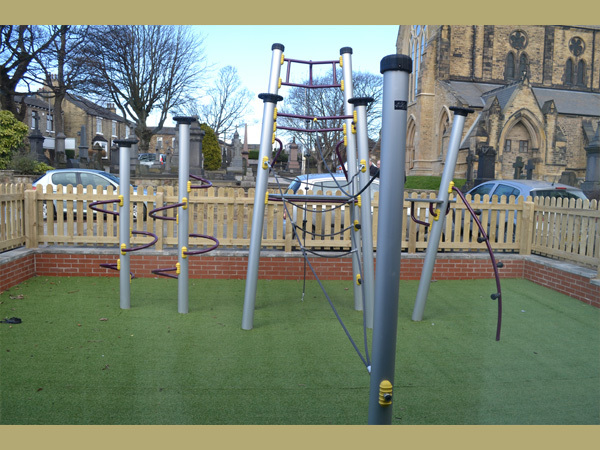 An outside play area was built for children aged 3 - 11 including creative play equipment and safety surfaces. There is now a new bicycle park for up to four bikes and external security has been improved to increase safety outside of the facility. Benches and litter bins have also been provided. Councillor for Ossett and Duncan Smith, lay chairman of Trinity PCC. 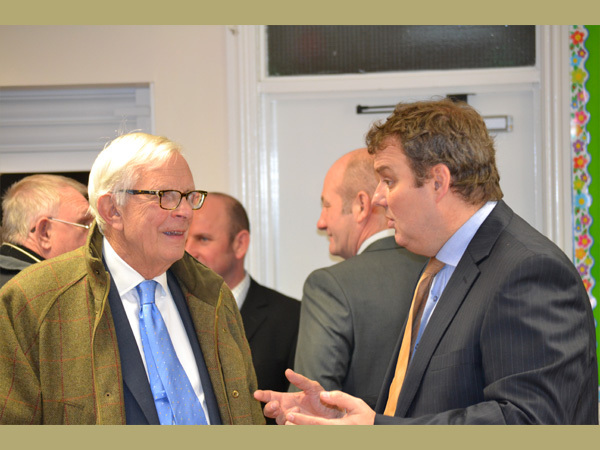 General consensus from those attending the rededication event was that this is an excellent facility which will only add to the welfare of the community and will continue to serve and support the local community for years to come.